Junior High Band Limo Lunch --- Congrats to these band students for raising the most during the fall fundraiser! THS Cheer started up the Hornet Heroes program this year to volunteer and mentor our little Hornets! Junior High students are supporting our community by giving to those who need assistance during the holidays. The Can Food Drive was a success. Hornet Heroes helping out at Highland Elementary organizing the teacher supply room. 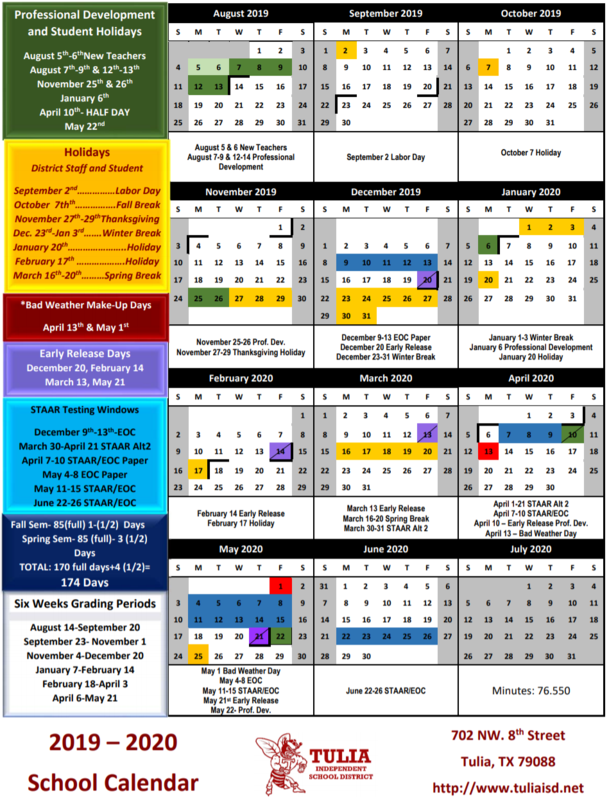 2019 - 2020 District Calendar is here! 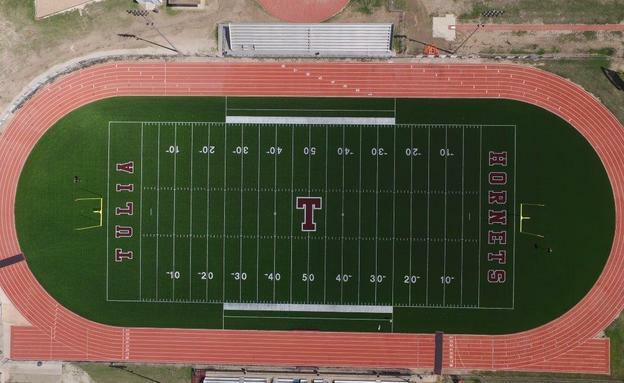 The Tulia ISD School Board has approved the District's Calendar for the 2019-2020 school year. Click the link to learn more. 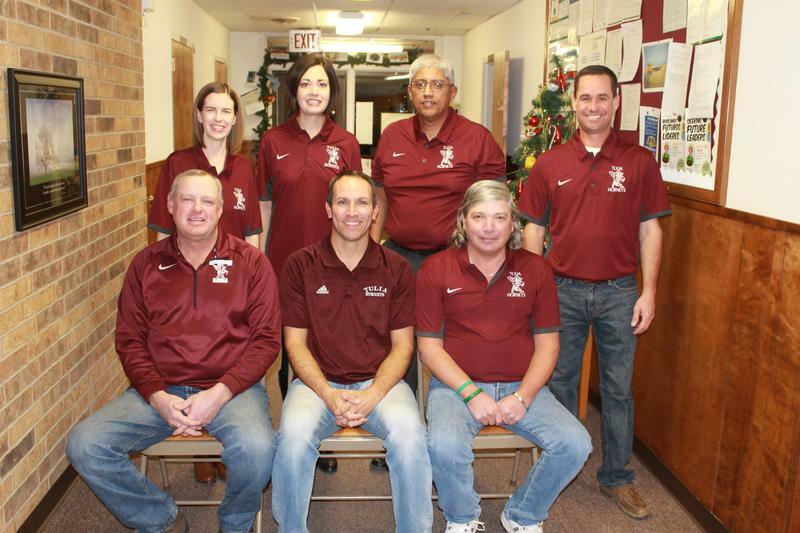 Tulia ISD has adopted a new teacher pay scale, please click the link to read more. 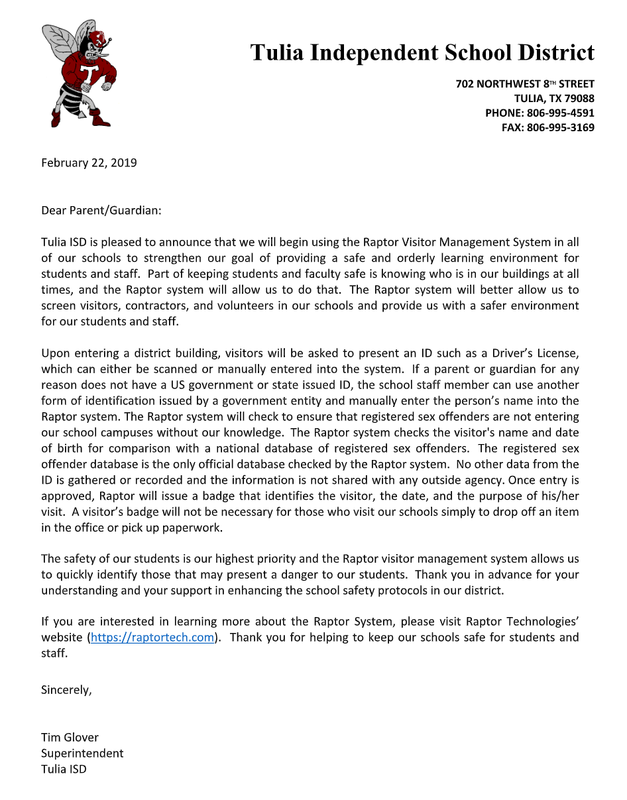 As part of our goal to provide a safe and orderly learning environment for our students and staff, each campus in TISD will be utilizing the Raptor Visitor Management System. Please see the attached letter. 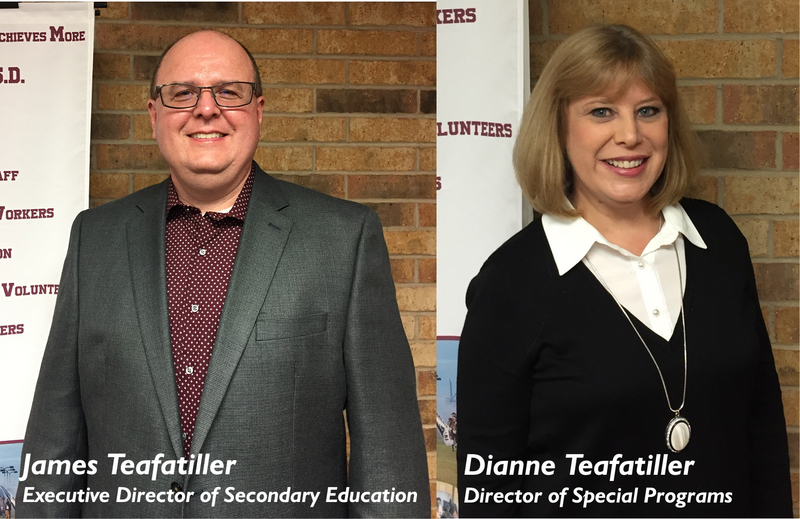 Thank you for helping us keep students and staff safe in TISD.